Obituary – Whitt, Elizabeth Jeanette “Betty” (Klinglesmith) « Perry High School Alumni Association, Inc.
﻿- daughter of Mr. and Mrs. J. W. Klinglesmith was born May 1, 1919 in Tulsa, Okilahoma. She attended the grade school in Sapulpa, Oklahoma, and while in high school she attended the Emerson Junior High in Enid, Classen High in Oklahoma City, Central High in Tulsa and is finishing her High School in Perry. She is specially interested in Literary work. Following graduation she expects to enter the Oklahoma University. Elizabeth Jeannette (Betty) Klinglesmith Burnett Whitt went home to God on October 6, 2015. She was born May 1, 1919 to James W. and Jeannette Reed Klinglesmith in Tulsa, Oklahoma. She graduated from the University of Oklahoma where she was a Letseizer medal recipient for scholarship in science and a member of the Delta Delta Delta sorority. She was a medical technologist at the Labette County Medical Center in Parsons, Kansas for 15 years and was a member of the First Presbyterian Church of Parsons, Kansas. She is survived by her daughters, Barbara Burnett Kurzinski of Choctaw, Arkansas and Mallory Helen Burnett of Albuquerque, New Mexico. She was preceded in death by her husband Hal A. Burnett, M.D. in 1966. She married James S. Whitt, Sr., in 1981 and he preceded her in death in 1998. Her daughter Haydn Jean Burnett McCulley Smith died in 1999. 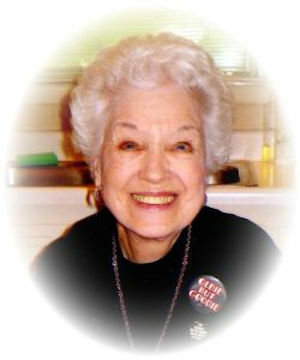 Her daughter Cynthia Ann Burnett Murray died in 2012. Her stepson James S. Whitt, Jr., died in 2013 and is survived by his wife Brenda. Cass Robert Kurzinski of Choctaw, Arkansas, Thomas Veatch Murray of Lawrence, Kansas and Rex McCulley of Wichita, Kansas are her beloved and attentive sons-in-law. Betty is survived by her stepsons Kenneth (Linda) Whitt of Oklahoma City, Oklahoma, Michael (Kerri) Whitt of Cordova, Tennessee and by her stepdaughter Linda Whitt Anderson of Scottsdale, Arizona. She adored her twelve grandchildren and her nine great grandchildren. Memorial Services will be held in Parsons, Kansas in the spring of 2016. Memorial contributions may be made to the First Presbyterian Church of Parsons, Kansas or Labette Health Foundation in Parsons, Kansas.